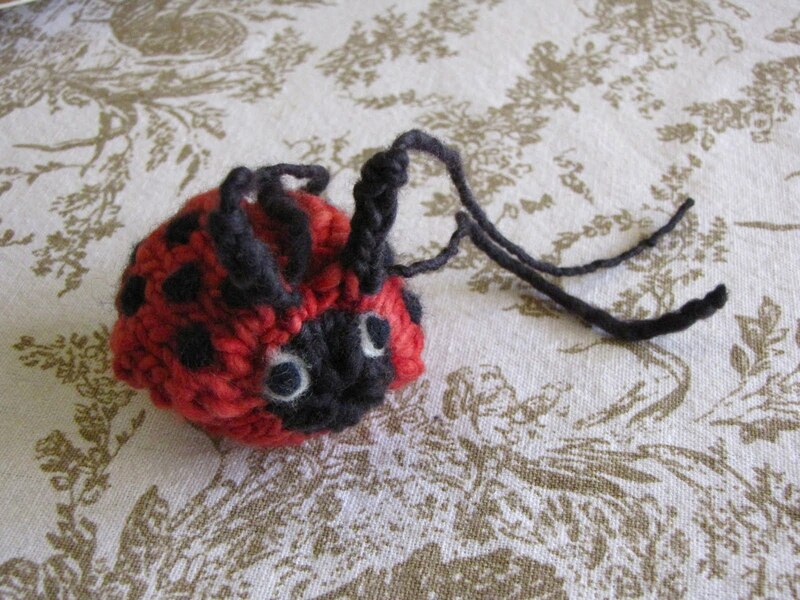 As promised, here is the Mamma4earth Ladybug / Ladybird knitting pattern:) She is a sweet little bug that will be perfect as a stocking filler at Christmas time or for a Waldorf nature table creature etc… I have knitted her in the round using the Magic Loop technique. Picked up stitches to knit her wings and then picked stitches again and knitted her antennae with I-cords. Black and red Merino yarn, I used left over bits and pieces. Cast on 6 stitches and join in the round using the Magic Loop technique. 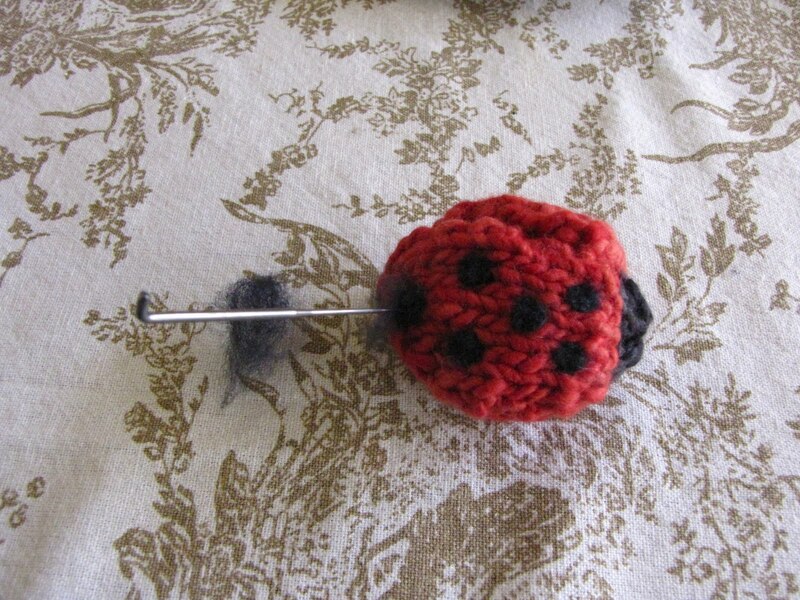 Take your wool sewing needle and thread it through the remaining stitches and pull tight once you have stuffed your ladybug. Knit in stocking stitch for the first wing for 10 rows, on the purl rows, knit the first and the last stitch to stop curling. Row 11: Cast off 1 stitch at the end of the knit row. Row 12: Cast off 1 stitch at the beginning of the purl row. For the right wing, do the same making sure your shaping is on the outside of the wing to make it rounded. Pick up stitches for the right wing. Sew both wings onto the body. 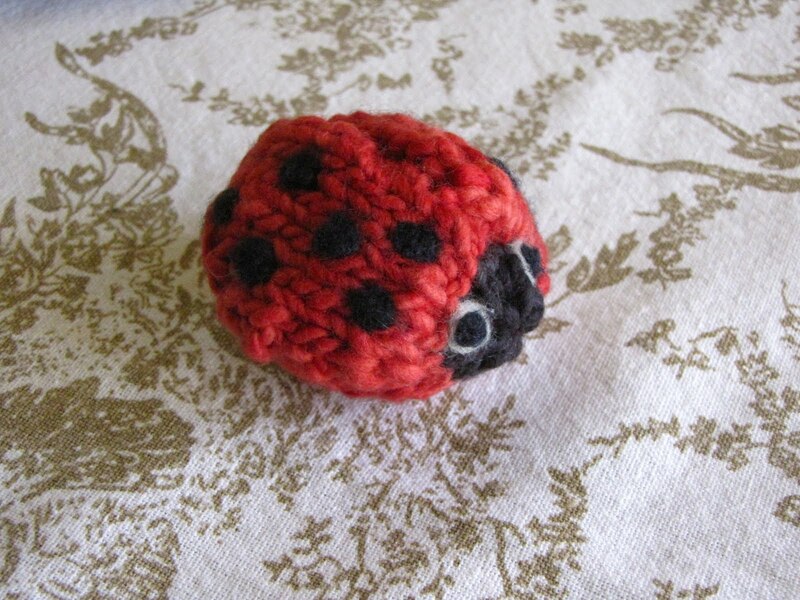 With a felting needle and some black fleece, add your ladybug’s spots. Whith white fleece, needlefelt a white circle for each eye and then with black fleece, needlefelt the pupil of each eye. 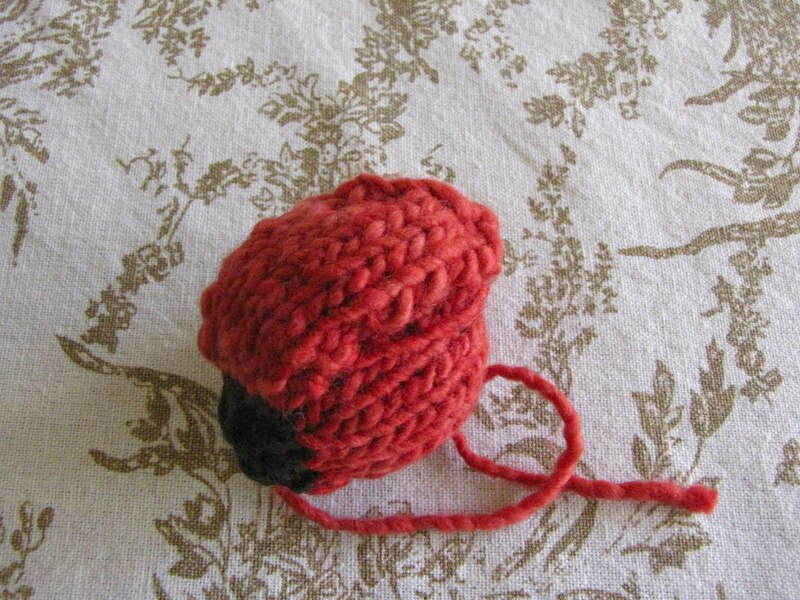 Pick up 2 stitches and attach your black yarn to knit your I-cords for your antennas. Knit both of your I-cords and sew in your ends. Sew up any openings and finish off. How cute! Thank you for the pattern! Oh my this is just lovely. 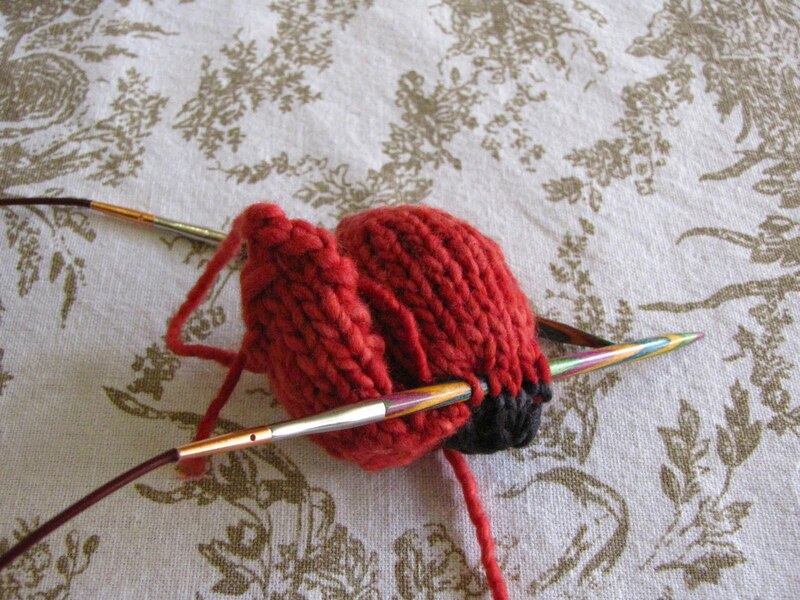 I have never knit using the magic loop method, but I may havve to five this a try. Thanks for sharing. sweet indeed ~ your cleverness just goes on and on! Thank you Linda! This looks like so much fun to try. 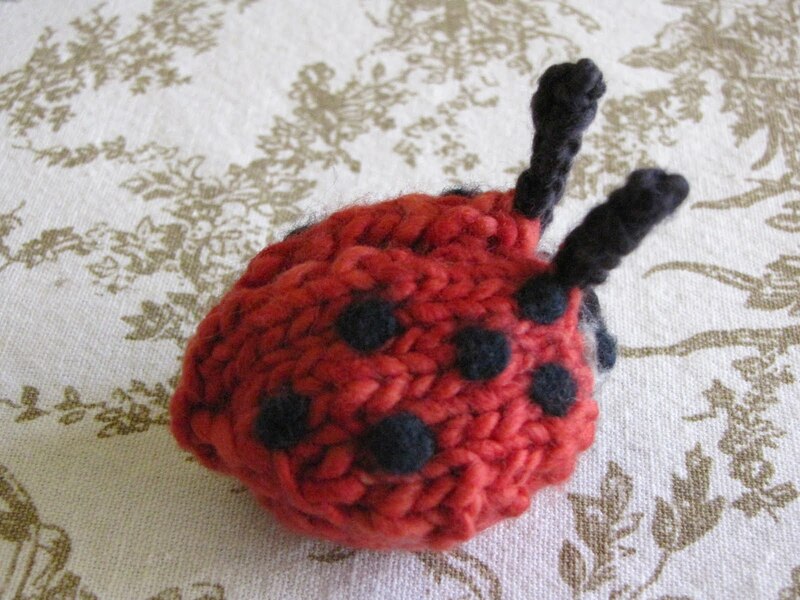 Such a cute ladybug! SO cute! I can’t wait to get home and give it a try! 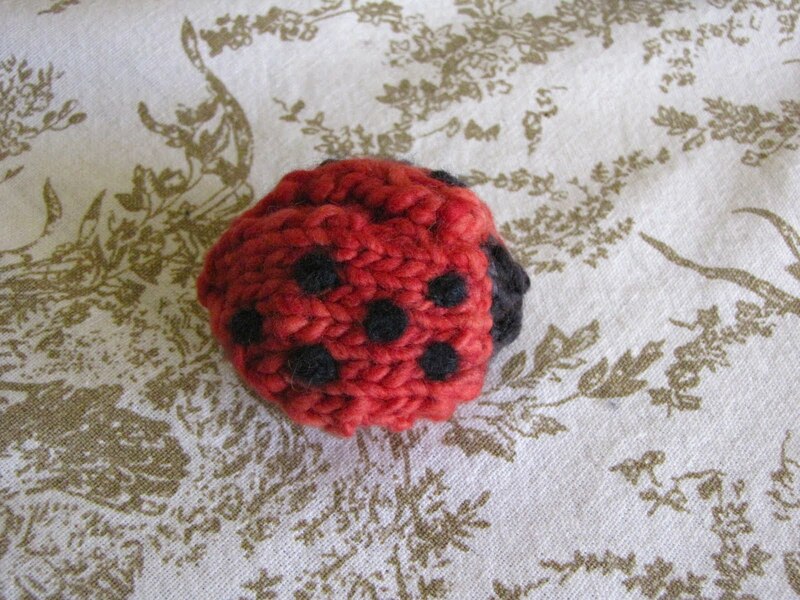 The ladybug is so sweet and thank you for sharing the pattern. I am totally trying this. I called my twin nieces the LadyBugs so I have too. Now I know where the expression “as cute as a bug” comes from…Sweet! So lovely. You make the best knit critters! Oh my God, SO adorable, hahah! Wow! So cute. I love all of your animals!! DO you by chance have a sheep pattern? I want to knit one for my daughter. The bluebird a few weeks ago was a big hit too! Clever girl. Now I’m going to have to go back and review my magic loop. It’s too hot here to want to do much but hide in the house and read – or brave the bright and play with horses. I love the scale of this tiny creature – the needle point looked gigantic! Thanks so much for sharing this cute pattern! 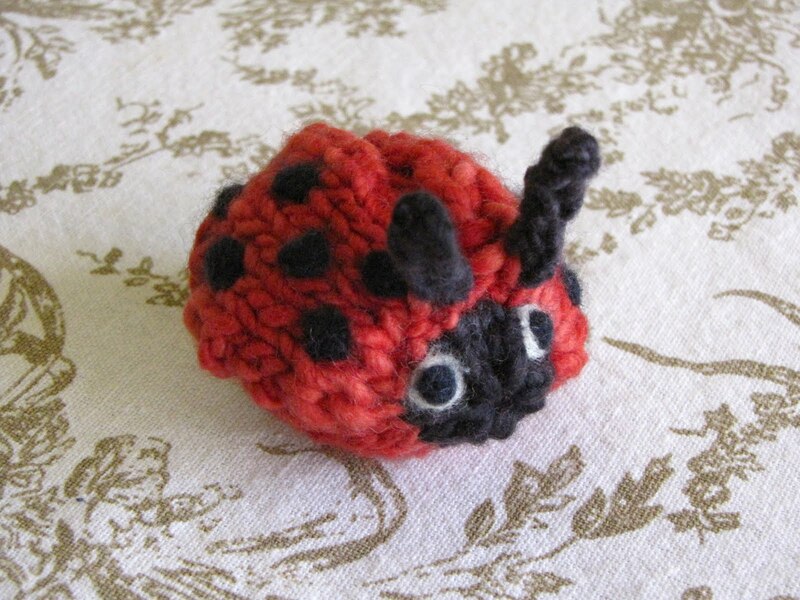 “With a felting needle and some black fleece, add your ladybug’s spots” – how do you do this? I have never used a felting needle before. Thanks for sharing your patterns – so generous. I love this little guy and wanted to let you know that I will be featuring your pattern in a roundup that will be on my blog this wednesday. If this is not alright with you, please let me know. I will, of course, give full credit to you. Hi! This is the best ladybug pattern I’ve found. Thank you! I’m putting it on my little nephew’s mobile. 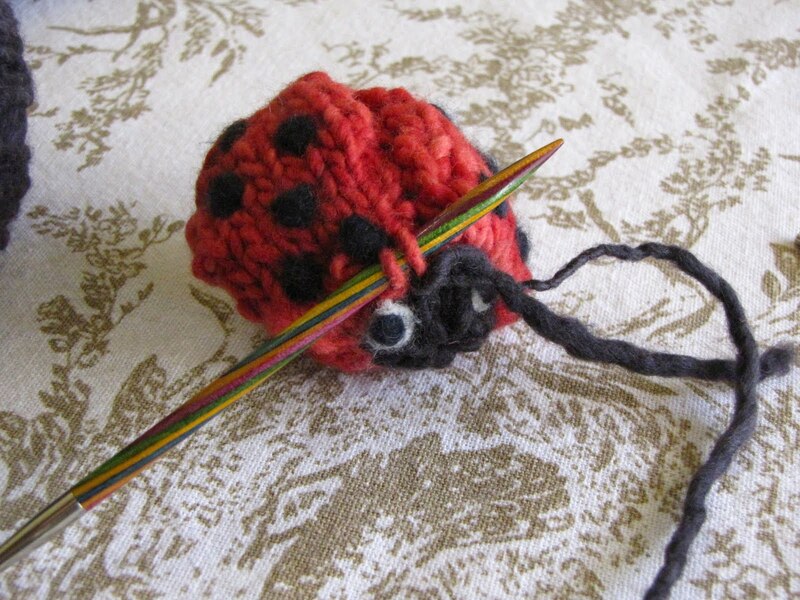 Just wondering if you start with the red or the black yarn? 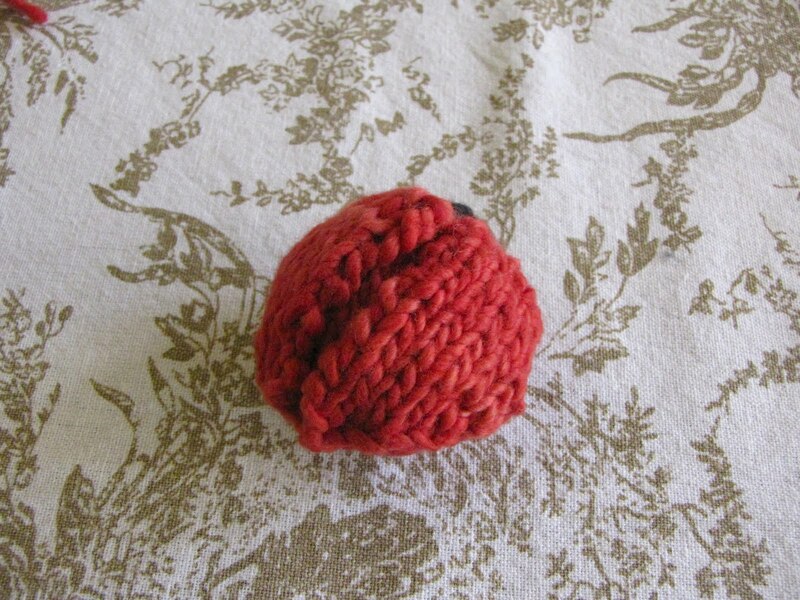 You will start with the red yarn.